"So, pastor, what's your point?" This is the question a congregation member may have. "How do I get started? How do I put a sermon together?" These are questions many students of preaching have. 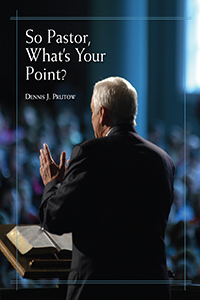 The sermon preparation procedure introduced in this volume answers these and many other questions. You'll learn to determine the main point of your text, the truth of God. You'll see the importance of a solid and succinct sermon point applying God's truth. You'll grasp how your outline should unfold your text and lead both you and the congregation into the application of God's truth. You'll understand how a solid sermon point and sequential outline give focus, unity, and purpose to your explanations, illustrations, applications, and transitions. You'll realize the need to introduce God's truth distilled from your text and applied in your sermon and then to clinch this point in your conclusion. You'll learn that force in preaching is born of solid preparation, passion, body language, and eye contact. In addition, you can begin to discern God's active application of His covenant Word to His covenant people. The vital principles taught here will be invaluable for those who not only preach but also teach God's Word in various venues. Denny Prutow was born in 1939 in Cleveland, Ohio. He attended the US Military Academy at West Point (1959-1963), Fuller Theological Seminary in Pasadena, California (1965-1968), and Reformed Theological Seminary, Orlando, Florida (1995-1998). 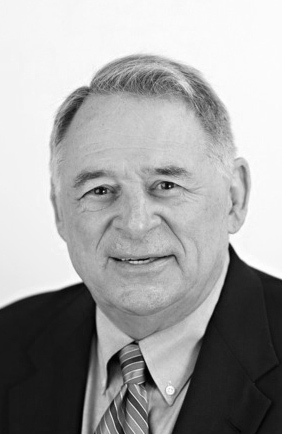 Denny was an Army Chaplain, a pastor in both the Orthodox Presbyterian Church and the Reformed Presbyterian Church of North America, and the Professor of Homiletics and Pastoral Theology at Reformed Presbyterian Theological Seminary in Pittsburgh, PA. Denny retired in 2013 after forty-five years of active ministry and is now RPTS Professor Emeritus of Homiletics. He and his wife, Erma, live in Indianapolis, IN. They have three grown daughters and nine grandchildren.